As one of the only in-house providers of veterinary laser surgery in Arkansas, Shackleford Road Veterinary Clinic is proud to serve the needs of Little Rock pets in a state-of-the-art facility that is close to home. Our CO2 laser that produces a powerful and concentrated beam of light provides numerous advantages for pet surgery. The surgical CO2 laser that we use during laser surgery for dogs creates a beam that is more powerful than a similarly-sized beam leaving the surface of the sun. This laser beam delivers a highly-focused tools that is able to cut in a clean and precise manner. This results in little to no thermal effect on the tissues beyond the target area. Using a CO2 laser ensures safe and predictable outcomes during pet surgery. Traditional surgery that uses a scalpel or scissors can bruise or crush delicate tissue, leading to excessive bleeding and an extended recovery time. Using our CO2 laser, Dr. Barron and Dr. Charney ensure that only an intense beam of laser light touches your pet. This results in a reduction of the pain, swelling and bleeding often is associated with laser surgery for dogs as well as other types of surgery. Reduced cost: SRVC eliminates the need for you to pay a traveling veterinarian to perform veterinary laser surgery. Instead, you are only responsible for our fees as an in-house laser surgery provider in Arkansas. 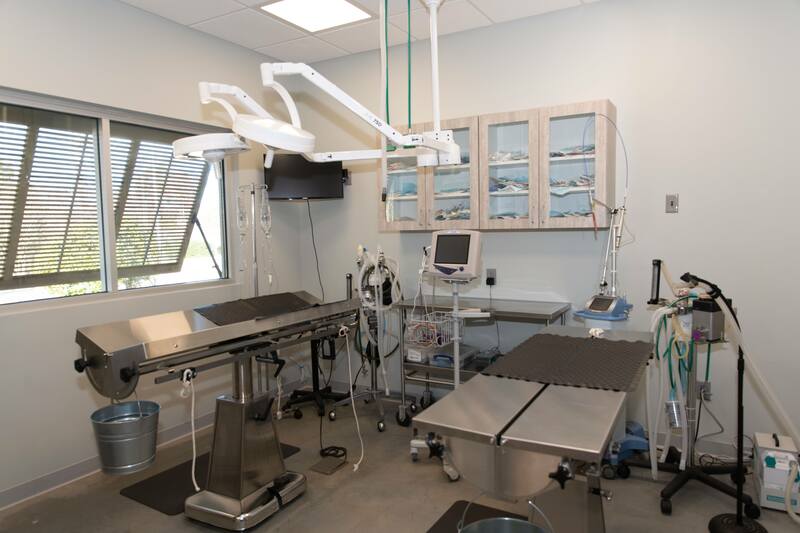 Save time: Our vets can perform laser surgery for dogs, as well as other surgical procedures, right here in our fully-equipped surgery center. You don’t have to travel to a far-flung vet with your pet to have the necessary surgery completed. Less risk of infection: The laser beam utilized during veterinary laser surgery has a sanitizing effect which helps reduce the risk of infection. Reduction in trauma: Surgery is always a traumatic event for your pet. However, laser surgery provides benefits that make it less so: more precise cuts, reduced risk of infection, less bleeding and quicker recovery. Because we at SRVC care about your pets and their health, we made a substantial investment in laser pet surgery. It is one of many ways that we make sure we can always provide the best care options when it comes to your pets. To learn more, simply contact us to schedule an appointment. We are happy to discuss the best healthcare treatment plan possible for your pets!